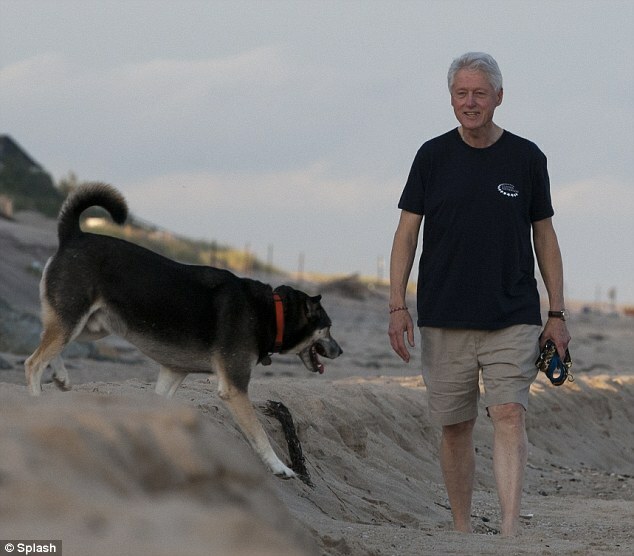 Former US president Bill Clinton spent the morning of his 66th birthday, this Sunday, walking on the beach in East Hampton, New York with his brown Labrador, Seamus, according to the Daily Mail. Setting out at dawn Clinton looked relaxed and happy greeting other walkers and stopping to say hello. Some even wished him happy birthday much to his delight. Clinton isn’t looking to shabby for 66! He famously went on a diet last year before his daughter, Chelsea’s wedding and it seems that he kept the weight off. The former president credits his vegan diets for his lean look.